← Where in the World Are You From? A New Business Venture and a Makeup Brush Give Away! Life takes us down such weird paths. Years ago, in my 20’s I managed a salon in Southern California and was a licensed esthetician, doing facials, waxing, and makeup. After going through a rough divorce I decided to sell whatever wouldn’t fit in my little Toyota Celica, quit my job, and leave everyone I knew behind to find myself in Virginia Beach, VA while working for an airline. A month before taking off, I met Phillip, my hubby and it was love at first sight. Really. So intense it freaked me out and I decided to move anyway. Over the course of the next year we had date nights on Yahoo games while playing backgammon. It was before Skype or Facetime and when you still had to pay long distance to call each other across country. Over the course of the year I was offered a different position in New York and had to decide if I was going to move and leave Phillip behind or go back to Los Angeles and take our relationship further. I flew into L.A. for a weekend and proposed marriage. He said yes. I packed my car up and went back to Cali. Today marks ours fourteen year wedding anniversary, so I fortunately made the right decision turning my back on the job in NYC. Once back in Los Angeles I moved into Phillip’s rock n’ roll commune and lived the Hollywood dream for the next few years, letting my esthetician license expire. I missed the salon life, but I knew I was horrible at selling myself and skills, so ultimately it wasn’t the greatest career choice for me. Over the years my passion for makeup and skin care fell by the wayside as we began a family and had less money to spend on things that weren’t necessities. Over the years make up in my life has become non-existent, especially after becoming vegan and realizing that most of the products I used didn’t fit in with my new lifestyle. Once things ran out I never bothered replacing them. Now that I have the extra income to spend I usually opt to use it to promote veganism by teaching cooking classes, donating to different causes, and now the vegan lifestyle show we are working on. Honestly though, I have missed taking care of my skin, doing my makeup, and well, pampering myself. Awhile back I discovered Arbonne, a company that makes all vegan and eco-friendly products. For Mother’s Day I decided to treat myself to becoming a consultant so I could get a discount on the products. Years after my salon experience I am still not a sales person, but have decided that I will share this product I love with people and if interested you can support. Also, I figured this is a great way to make extra money to give back to the vegan community. I have decided that I will donate 10% of all the income I make from Arbonne to my favorite local animal rights organization, Northwest Animal Rights Network (NARN.) To celebrate this new venture, I will donate 20% of my income made from all orders placed through July 31st, 2014 to NARN. Do you have an animal rights organization that you are interested in helping? Host a party and I will donate an extra 10% of the income I make from your party to the organization of your choice. If you set up your party by July 31st, I will donate 20% instead of 10%. If you are interested contact me at dontfearthevegan@yahoo.com. If you would like to learn more about Arbonne, check out the products or place an order check out my Arbonne store, Steffi’s Zen. I will announce on the blog any money I am donating at the end of each month. 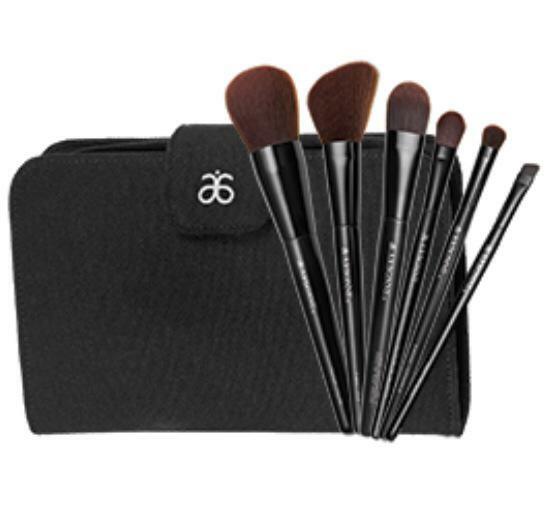 To kick this all off I am giving away a set of vegan cosmetic brushes to one lucky winner. I chose the brushes because I found it difficult to find good quality brushes after going vegan. To enter, you must comment on this post (Facebook and Twitter will not count) by July 19th, 2014 at 11:59 PM PST. A winner will be announced on July 21st in a new blog post. We will do our best to also contact the winner via email. The winner has 7 days to respond and if we do not get contacted by them them we will choose a new winner. Gallery | This entry was posted in Arbonne. Bookmark the permalink. 20 Responses to A New Business Venture and a Makeup Brush Give Away! Awesome give away! Thank you! I love Arbonne. I have a few of their products and always enjoy using them. I would imagine this brush set is just as awesome. Congratulations on your new venture! I don’t wear make-up, but my vegetarian daughter would love to win this brush set. I have been searching for vegan brushes for a year!!! I am so excited that you are starting this business and I can’t wait to help you support NARN! Thank you for being a guiding vegan light! Would love to try new brushes! Congratulations on your anniversary and new venture. 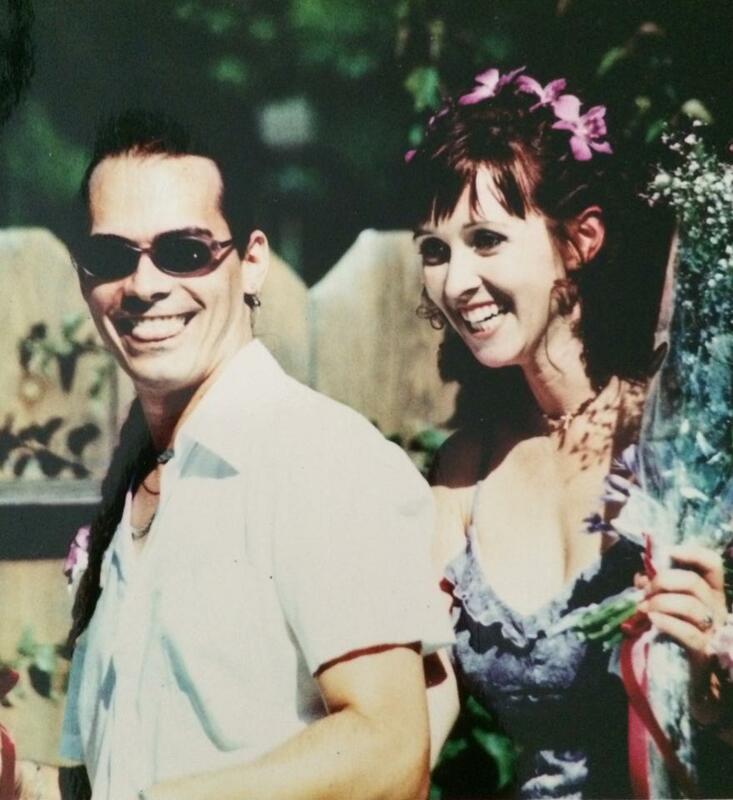 Congratulations on the new venture and 14 years of marriage! I love make up brushes! How long have you been together? I’d love to have a set of brushes. I’m not familiar with Arbonne; I’ll have to check out your page. Congrats on your anniversary and thanks for doing the giveaway! These brushes look amazing! Congratulations on 14 years!!! Best of luck, and I like Arbonne too! Good luck with your new venture. I’m sure you’ll be very successful.